7 sides to a box: Copiing Angry Birds, the Title! Copiing Angry Birds, the Title! So for the first cartoon I chose was Angry bird. 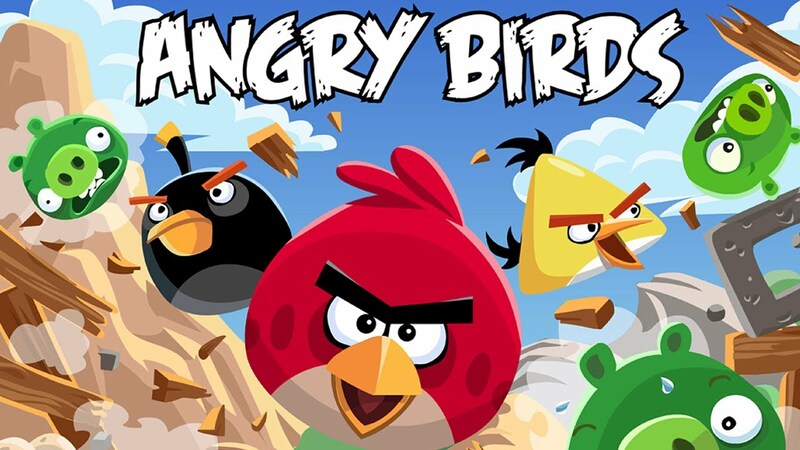 Just to remind you, the first game of angry birds was released in 2009 by Finnish company Rovio Entertainment for Apple iPhone (read more). Since then it became a cartoon, then a movie and many many spin off games in between. Kids love it, adults love it and it seems that there will be no end to it for a very very long time. Which is great. The reason for choosing Angry birds as a first copiing project is simple. They seem pretty easy to draw and I love them. I might also finlay learn the characters names. Birds', pigs', etc. I usually start a series of sketches with a simple title: 100 mushrooms, 100 flowers etc. But here I thought, hey! The title is an image too! It also has a character! After all, creating a winning title is a very important step of creating any written/drawn/filmed - add missing - world! Be it a book or a movie, a cd or anything else ,designers and illustrators spend a huge amount of time and effort to create a perfect title. And I should respect that. So first thing first - the title! It wasn't easy, I must say! I really should have measured time because for sure since it took me a lot more than an hour to copy. This is the result. I first created a pencil sketch. Then I outlined it with a very thin liner and then with a thicker one. I'm not sure this is identical but it does look like an original title. So I guess it was probably worth the try. One thing I know: making an exact replica of an original is not easy at all. I'm not sure that this is something I would want to do in the future, but it's obviously one way of learning and gaining experience.